Wednesday night will be the first game Miami Heat legend Dwyane Wade has missed this season, his 16th and final in the NBA. 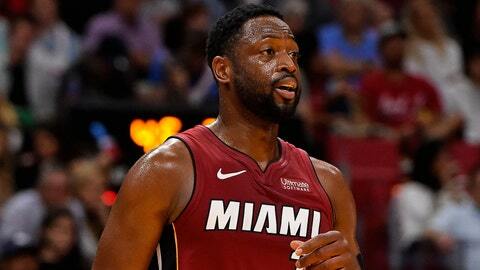 MIAMI (AP) — Dwyane Wade is missing Miami‘s game against San Antonio on Wednesday night for personal reasons. It’s the first game Wade has missed this season, his 16th and final in the NBA. He’s averaging 14.3 points on 45 percent shooting in nine games, all of them as a reserve.